Enjoy our round-up from East Asia and Pacific SUN Countries of the 25th World Breastfeeding Week (WBW2017). Celebrated under the theme “Sustaining Breastfeeding Together!” these collective efforts are bringing attention to breastfeeding’s remarkable ability to provide the nourishment needed for the growth, development and survival of infants around the world. 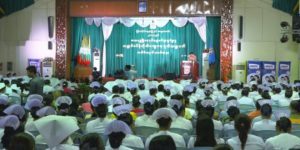 In Cambodia, the Adventist Development and Relief Agency (ADRA)’s EMBRACE project (Enhancing Mother/Newborn/Child Health in Remote Areas through Health Care and Community Engagement) organised an event on 7 August with the Provincial Health Department and the local authority in Sandan district, Kampong Thom province. The celebration gathered representatives from the Provincial Health Department, Provincial Operational Health District, District office, officials in Sandan district, development partners, all 3 Health Centers, Commune, Schools, students, and community members totalling 400 participants including the ADRA Canada Agents of Change. 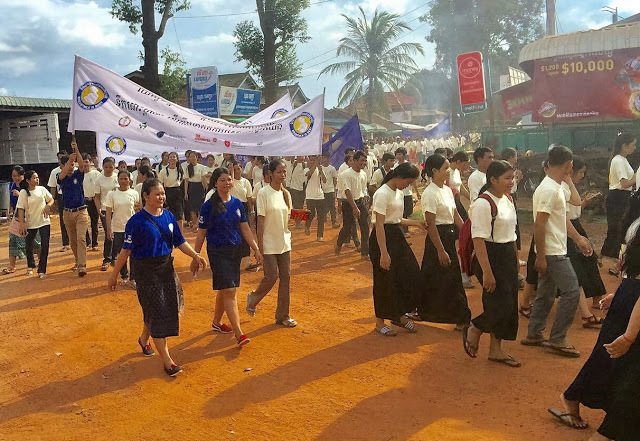 Other efforts included the partnership between Johanniter International Assistance along with Helen Keller International, Save Cambodia’s Wildlife Indigenous Community Support Organization-ICSO, Human and Health and Khmer Community Development partnered to promote the weeks activities. Dr. David Raminashvili, technical lead for nutrition and health at World Vision Cambodia. World Breastfeeding Week provided advocates in Indonesia the forum to discuss Law No 36/2009 which regulates that during the breastfeeding period, families, local city administration and society should support the mothers by providing them with time and facilities. This is a key area of focus for the Indonesian Breastfeeding Mothers Association (AIMI-ASI) in addition to ensuring that health workers are free from any conflict of interest when it comes to serving breastfeeding mothers and infants. In Lao PDR, WHO Representative, Dr Juliet Fleischl gave an interview to the media commending the efforts of health providers in the country and the progress toward improving the number of mothers who exclusively breastfeed their children to 6 months of age. 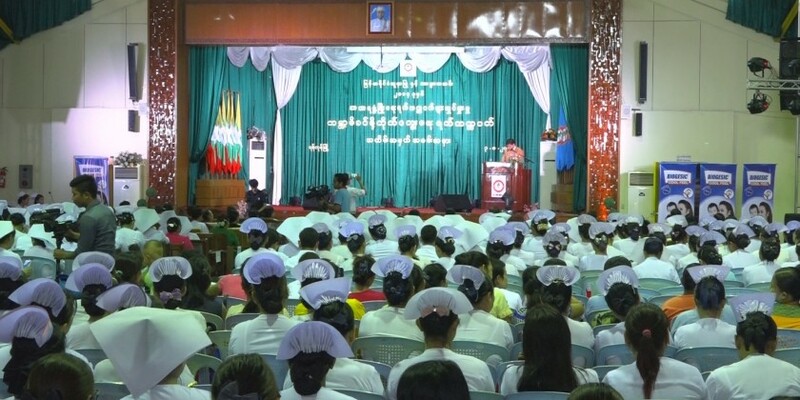 Myanmar’s Yangon Region Minister for Social Affairs, U Naing Ngan Lin and the officials from Myanmar Nurse and Midwife Association marked the commemoration of “World Breastfeeding Week” in Yangon along with education awareness programs to encourage breastfeeding and nurture healthy babies. Breastfeeding is a mother’s natural duty in nurturing the future generation was the key message delivered at the National Nutrition Strategic Action Plan (SAP) Workshop in Port Moresby, Papua New Guinea. Various speakers at the Workshop highlighted the importance of breastfeeding from birth till the child is six months old, something which has dropped recently and needs to be revived. A mass breastfeeding “latch-on” event was held in the Philippines where thousands of Filipino mothers gathered to breastfeed their babies together on the sidelines of the 50th Association of Southeast Asian Nations Foreign Ministers’ Meeting in Manila. The Vietnam National Institute of Nutrition, the Alive and Thrive project and the Hanoi University of Technology launched an online training programme on child care to respond to WBW2017. The 48-hour programme aims to strengthen the capacity of healthcare staff on supporting mothers in breastfeeding and weaning. The World Breastfeeding Week’s 25th year in 2017 is about working together for the common good. Coordinated by the World Alliance for Breastfeeding Action (WABA), the exciting week from 1-7 August is celebrated each year to recognise the importance of protecting, promoting and supporting breastfeeding. The week is based on the Innocenti Declarations, the recently launched Ten Links for Nurturing the Future: The Investment Case for Breastfeeding and the WHO/UNICEF Global Strategy for Infant and Young Child Feeding.